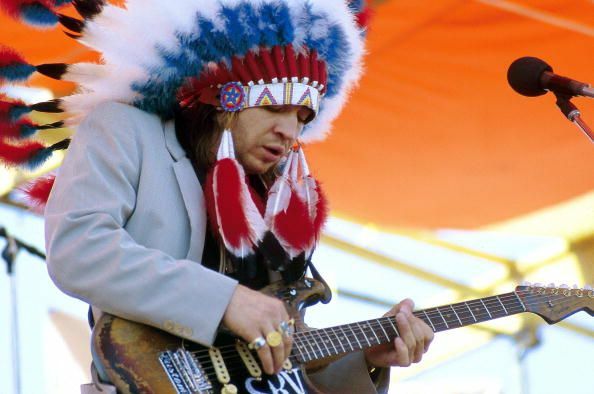 SRV's Tube Screamer sells for over seven thousand pounds. why would you need to own that? if the pedal is so important, why not keep it in a museum? I just think the inflation is weird. I remember when you could have bought a guitar for that sort of money. Obviously wasn't bought for the tone... probably going under glass in either something like the EMP museum or some guy's big game taxidermy room. "You never forget the first time you hear Pride & Joy... you feel it first in your scrotum." And I probably still wouldn't spend eleven grand. There must be something wrong with my scrotum, mine just didn't get it. His tone must've come from his cultural appropriation. no way he was anything but completely coked and jacked up in ^that photo.